Custom Visor Hats are perfect for representing your brand, affiliation or organization. You can use them as promotional items to advertise your business or the affiliation you belong to. 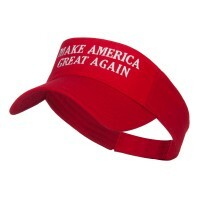 Browse our site to find Visors that will represent your ideas. Individuality is a major part in today’s world–not only in fashion, but in everyday life. People are always looking to express themselves in what they wear. Embroidered Visors make it possible to do so while also being a wearable, practical hat. They’re made similarly to other visors, with the bill curving in order to cover the eyes, and a band wrapping around the head, coming together on an adjustable strap. 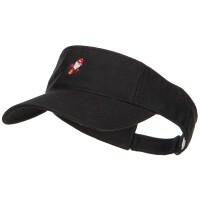 However, a design is embroidered onto the band, above the visor. This gives each visor its own unique flavor. A series of different designs, symbols, and words can be found on the visor ranging from: occupations, beliefs, places of origin, hobbies, and many other designs. 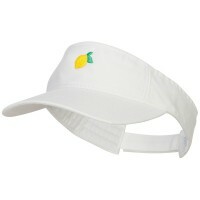 Embroidered Visors allow for countless combinations of colors and designs to best fit each individual. 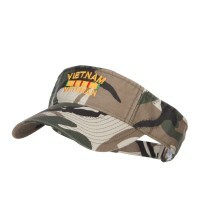 These visors are not only tailored to each person, but are also very in style in today’s fashion world. 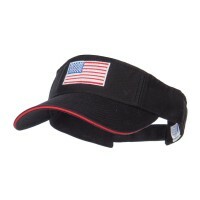 Customize your very own Visors to promote your brand to your clients. We can make a variety of designs depending on your demands. 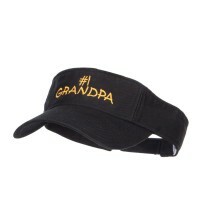 Our Custom Visors are best for every season thus making them one of the most practical gifts to uplift your brand. 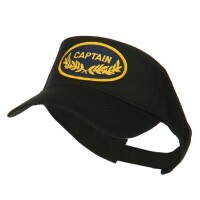 If you want whimsical visors that will surely grab anyone’s attention, then the Mustache Custom Visors are for you. It features an image of a mustache printed on the front panel of the hat. There are also other designs that you can choose from including diamonds, chess, and NASA logo among many others. Supporting a serious cause should be supplemented with the right apparels. We have custom-made Breast Cancer Awareness Visors for people who support breast cancer awareness. The thing is that we have many designs to choose from that your brand can associate with. However, if you don’t like any of the designs that are featured in our site, you can always have your very own design embroidered in our caps. Just ask us and we will tell you how.